This amazing papercraft Super Nintendo system is so small that it’ll fit in the palm of your hand. 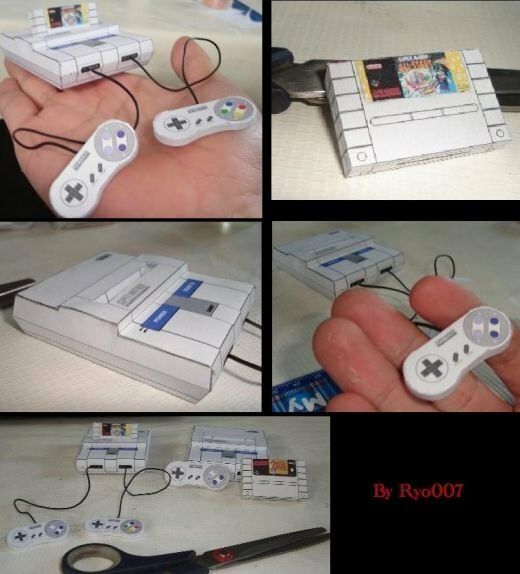 Created by Chilean papercrafter ryo007, the teeny tiny SNES even include a pair of minuscule controllers and a set of game cartridges. Best of all, ryo has provided the cut-out diagrams over on DeviantArt so you can make your very own mini SNES. Now I need a wee-sized Wii so I can play some Super Paper Mario on a super paper console.